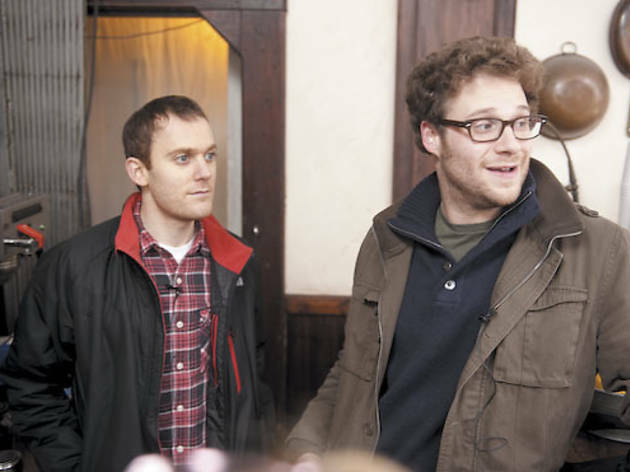 Will Reiser and Seth Rogen make a comedy about a brush with cancer. Chris Helcermanas-Benge LAUGHTER IS THE BEST MEDICINE Reiser, left, and Rogen mine hard times for big laughs. Filmmakers tend to disavow autobiographical readings of their work, but when it comes to 50/50—the story of a twentysomething Seattle radio writer (Joseph Gordon-Levitt) suddenly diagnosed with cancer—they can’t be helped. The movie was inspired by screenwriter Will Reiser’s own experiences after a tumor was found on his spine. 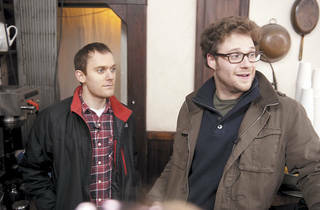 The film loosely dramatizes the way his life changed, especially with regard to his friendships, including his relationship with producer-costar Seth Rogen. Up next: Rogen will direct a comedy written with his friend Evan Goldberg (who cowrote Superbad with him and also served as a producer on 50/50) about the last night on Earth, called The Apocalypse. “It’s about kind of realizing you don’t like the people you’re friends with and the ramifications of being holed up in a small space with them for long periods of time,” Rogen says. So the opposite of 50/50?